In this market where property owners are sitting on a wealth of riches, thanks to the healthy appreciation they have experienced over the past several years, more people are considering refinancing. Let’s take a look at some aspects of this real estate process. Simply stated, refinancing is a process of obtaining a new mortgage on an existing property. This requires having equity in your existing home, which is determined by calculating the difference between what your home is worth and what you still owe. There are a variety of reasons home owners might opt for this funding. Some homeowners access their equity to cover a large expenditure such as a car, to remodel or update their home or to pay off other consumer debt. Refinancing is often used to obtain financing for new real estate investments, or for capital to grow one’s business. Using existing property as a springboard, investors can broaden their portfolios with rental properties or trust deed investments. A landlord can also increase the value of a rental by renovating it, thus bringing in higher monthly rent. If a someone wants to refinance but does not qualify for a conventional loan or they need a fast loan, this is where a hard money loan can be of benefit. Some mortgage agreements include provisions that allow the mortgage company to charge you a fee for early payment of a current mortgage. 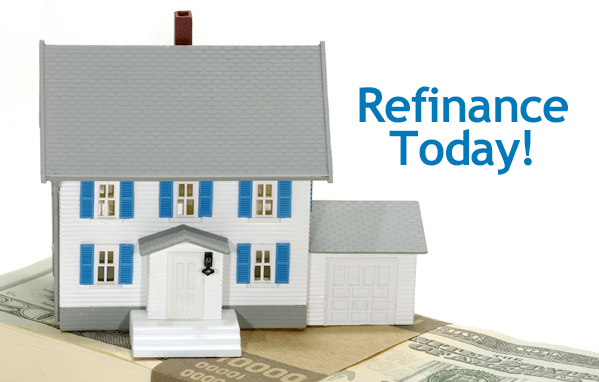 Make sure you find out any possible fees involved in refinancing before proceeding with a new loan. In addition to the former lender, your new lender will have fees that you incur with the new loan application. You will want to determine if the cost of procuring the loan is worth it. In spite of these costs, it is often more expedient to proceed with the refinancing process. In the end, it is a mathematical equation: Would the benefits of refinancing outweigh the costs? Knowing that Hard Money is a loan option for refinancing can be that saving grace for you, a client, friend or family member one day. Let’s just say “the buck stops here” for your refinancing needs, if you can’t get that conventional or traditional loan elsewhere. We have been in business for over 30 years now, are family owned & operated and licensed for the entire state of California. We just have two key qualifications: 1. Decent equity and 2. An ability to repay the loan. If speed is a factor, this is our specialty. We have funded many a loan in less than a week! Call us today at 707-523-2099 or send us an email below with your questions or scenario and we’ll get back to you with how we can help.